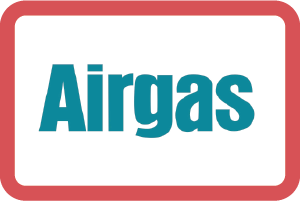 Airgas was formed in 1982, the brainchild of young attorney-turned-chairman Peter McCausland and is North America’s only large-scale, single-source supplier of gases, and welding and safety products. 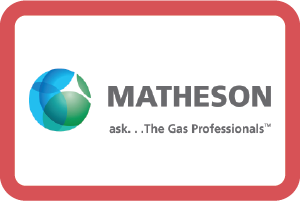 In 1999 MATHESON Gas Products merged with Tri-Gas, Inc. to form Matheson Tri-Gas, Inc - becoming part of the world's fifth largest supplier of gases and gas handling equipment. 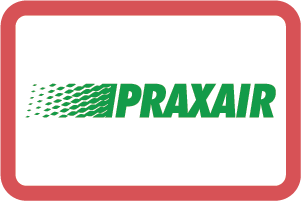 At Praxair, 27,000 employees in more than 50 countries are working together towards a common goal: making our planet more productive. 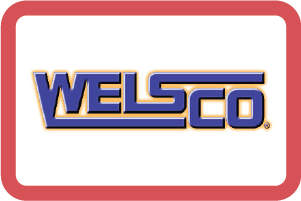 For over 70 years, WELSCO has been the premier Welding Supply and Industrial Gas Supplier in the South. WELSCO, Inc. is a family business that is committed to family values, positive attitudes, integrity, shared knowledge and respect for each other and our community. Conroe Welding Supply is a family owned and operated business with 3 generations working in the business. DuPuy Oxygen has been in operation for 60 years in Waco, Texas. Gas and Supply is the region's largest independent welding supply distributor, providing customer solutions since our establishment in 1981. Metroplex Welding Supply is a locally owned and operated full service welding & cutting supply company, and has been since we began in 1975. Commercial & Industrial Equipment Supplier in Durant, Oklahoma. Owned and operated in the great city of Muskogee, OK.
Metals · Business Services · Hardware & Tools, service based in Longview, TX. TIMSCO International, L.P. is a full line industrial supply distributor located in McKinney, Texas. With over 600 manufacturers and representing more than 200,000 products. James Supplies & Rental Co. Founded in 1946, the Oklahoma-based supplier is a family owned business providing superior service, high-quality welding supplies, safety equipment, medical and industrial gases. Cross Texas Supply LLC carries a full line of Welding Supplies, Industrial, Medical and Specialty Gases and Cylinders. They serve San Angelo and 17 surrounding counties with "Quality Customer Service"
USOXO provides a full line of welding equipment, supplies, industrial and specialty gases. They have two convenient locations, the original location in Llano, Texas and the most recent opening in Marble Falls​. Known for USA made products and excellent customer service.